- Added night mode for Erangel. The map will be randomly arranged in the classic mode between the day and night. - New buildings were added in some areas. - Added cover next to some rivers. - Added more trees to some empty areas. A movie graphics style has been added. The style will apply to all maps. In all maps, Spawn Island has gone through a festival change. 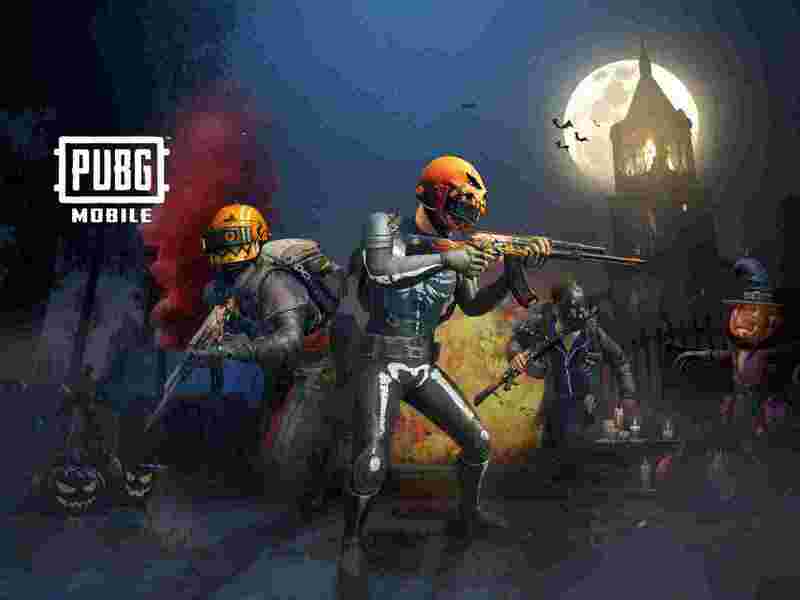 - Choose pumpkin and candy and chat with other players on Spawn Island. - Enemy killed by helmphire - AKM will be scary. - A scary face appears when a grenade explosion occurs. - During the Halloween event period, players have a 50% chance of enabling night mode. - Added QBU DMR. It removes 5.56 mm rounds and can be found in the arrow (replacing the mini 14). - Ronnie Pickup Truck Added. Only available in sanhok. - Added random music feature in all vehicles. This feature can be turned off in the vehicle area from settings. - Engine sound effects of UAZ and Buggy have been made awesome. - Added driver and passenger idea (with better vehicle interiors) in the first person perspective. - The bullet accuracy bonus gets reduced slightly by hip fire from the weaving during the extinguish or stay. - When the player is stationary, the bullet expands accurately, the bonus increases slightly from the hip fire. - AKM's vertical recoil and horizontal recoil has been reduced. - Reduce the dispersion accuracy bonuses of some attachments. - Light grids now increase the recoil recovery and stability. - Recall animation looks more realistic during firing. - There are now new magazine attachment models in QBZ and QBU. - The reloading animation of some weapons has improved in the attitude of first person and third person. - Now the new 4x scope crosshairs are designed in UMP 9, Vector and SLR. - Added a verb to raise the character when the motorcycle was airborne. - Added break-button to vehicle driving mode 1 and 2. - Dasia's sound effect has been adjusted, so it looks like the original pub. The lights of the vehicle have been tuned. - An option was added where the system will get first teammates who speak the same language. - Matchmaking has improved. Finding a match should now be fast and players should reach their proper level easily. Estimated time should now be more accurate. - Players can now see other rival players by the end of the match after being killed. - When appearing in room mode, players can turn on projectile and bullet trajections. - The players face remotely to other players, or when problem-free issues are resolved when they open the list to replace the equipment. - Added a feature to download only individual files while updating the map. If the game client has been updated to version 090, then only 13 MB of data should be downloaded for Miramar (basically 300 MB). - Less loading time when the game launches. - Low memory usage in the lobby. - Solved screen issues on some mobile phones. - Better game update mechanisms and resolved issues can cause the update to fail. - Added stock facility for deal. Get your friends to help you deal, then get the item a big discount or even for free! - Earn trick ticket scraps, combine them into trick tickets for a lucky draw! - Added classic crates which have found rare items. - Some elements of the Roiala Pass Mission page were redesigned. It is now more convenient to view weekly missions and collect weekly mission rewards. - Added a notification for the Royale pass mission on the results page. - "Share" tip will not be displayed while receiving epic items. The stock page was redesigned. - Redesigned art for gift feature and added a Halloween envelope. - Leader Crew Challenge can register your cruises for the tournament. There are 3 steps: qualification, group and final. After entering the group stage and finals, the teams will receive bonus prizes. Winning teams in the finals will get great prizes. - Added new currency: Challenge coin (players will get some challenge coins after each Crew Challenge game). Use it in Crew Challenge Shop for exchange of goods. - Crew is now limited to 6 players. The team can sign up with only fewer than 6 players for the tournament. There will be a maximum of 6 players in the new teams. Old teams can stay with more than 6 players, but they can not recruit more players. - Advanced room settings added to the room. The Advanced Room enables the room owner to set up the weapon, attachment, plexion shrinkage and other parameters. - Players can now invite friends to their room, or share room invitations for team channels. - The entrance of the rooms and training grounds has been taken to the main page. - Added a Halloween theme and background music to the main menu. - Added a feature to see recent likes on the friends page. - Added a similar ranking. - Renamed a clan name in the shop. Only tribal leaders can buy and use it. - Improvements in team mode have improved Those who knock enemies will fulfill the situation of the killing of an accomplishment if the enemy is killed by himself or his comrades. Eye for eyes: kill an enemy who knocked you in the same game. Take me with you: sit on a vehicle which is being operated by enemies for more than 10. Body Trainer: Crotch 10,000 times, jump 10,000 times, come down to 10,000 times. Chicken Veteran: Get 500/1000/2000/5000 Challenge Coins from Total Crew Challenge. Experienced soldiers: Take part in 10/20/30/40 crew challenges. Dealer Master: Help friends make a total 1000/10000/30000/1000000UC deal. Candy Master: Hit 6 other players with candy bombs / candy balls. - When one or more players have separate game client versions in one team, then the system will announce the player (s) with the older version. - When they download updated files, players can now see updated details. - Guest mode has been moved to "more" on login screen. - Added an option to filter the same first language in the team channel. If only one language is selected, players will only see team invitation messages from those who speak the same language. - Translation feature now translates chat in the first language of the player (now the game does not translate into client language). The Portable Closet can now be used on Spawn Island. - Some loading tips were added to help the players understand the new game content. - Adjust the angle and direction of the head turning angle. - The character falls from a certain height when added a left hand waving action. - The first part of the climbing action now looks sleek. - When the character leaves the plane, the details are added, the parachute and the land are open. - It's easy to get down now while walking. - Added a feature to quickly switch between scops. - Added an option to adjust game brightness in graphic settings. - Improved configuration of high and low sound effects Players will be able to select different settings in future versions. - Added upper limit for the number of raised areas. - Added customization button to revive, cancel, throw, cancel, reload and throw overhead / underhand. - Now when the grenade is triggered, players can switch between stand / tilt / lie, or overhead / underhand. Grenade can be thrown on the edge when standing. Frag grenades now cause more damage to the deal and tinnitus. - Molotov cocktails now cause more damage and can pass through wooden doors. They can be exploded with firearms. Fire from the blast will spread on the wooden floor. - Sten grenades now affect a large front area. Whiteout effect has improved. - Bullets now pierce through the water but under very little water damage the targets. - When the character loses or heals health, then the health bar animation is added. - After entering the planes, map icons on Spawn Island will not disappear. As the player moves forward, the mini-map will be actively scaled. - The 8 main directions on the compass are now easy to identify.